Long before 1810, Mexicans had begun to chafe under Spanish rule. Spain kept a stranglehold on her colonies, only permitting them limited trade opportunities and generally appointing Spaniards (as opposed to native-born Creoles) to important colonial posts. To the north, the United States had won its independence decades before, and many Mexicans felt they could, too. In 1808, Creole patriots saw their chance when Napoleon invaded Spain and imprisoned Ferdinand VII. This allowed Mexican and South American rebels to set up their own governments and yet claim loyalty to the imprisoned Spanish King. In Mexico, the creoles decided the time had come for independence. It was a dangerous business, however. There might have been chaos in Spain, but the mother country still controlled the colonies. In 1809-1810 there were several conspiracies, most of which were found out and the conspirators harshly punished. In Querétaro, an organized conspiracy including several prominent citizens was preparing to make its move at the end of 1810. The leaders included parish priest Father Miguel Hidalgo, Royal army officer Ignacio Allende , government official Miguel Dominguez, cavalry captain Juan Aldama and others. The date of October 2 was selected for the insurrection against Spain to begin. In early September, however, the conspiracy began to unravel. The plot had been found out and one by one the conspirators were being rounded up by colonial officials. On September 15, 1810, Father Miguel Hidalgo heard the bad news: the jig was up and the Spanish were coming for him. On the morning of the 16th, Hidalgo took to the pulpit in the town of Dolores and made a shocking announcement: he was taking up arms against the tyrannies of the Spanish government and his parishioners were all invited to join him. This famous speech became known as El Grito de Dolores or the "Cry of Dolores." Within hours Hidalgo had an army: a large, unruly, poorly armed but resolute mob. Hidalgo, assisted by military man Ignacio Allende, led his army towards Mexico City. Along the way, they laid siege to the town of Guanajuato and fought off the Spanish defense at the Battle of Monte de las Cruces. By November he was at the gates of the city itself, with an angry army large enough to take it. Yet Hidalgo inexplicably retreated, perhaps turned aside by fears of a large Spanish army coming to reinforce the city. In January 1811, Hidalgo and Allende were routed at the Battle of Calderon Bridge by a much smaller but better-trained Spanish army. Forced to flee, the rebel leaders, along with some others, were soon captured. Allende and Hidalgo were both put to death in June and July of 1811. The peasant army had disbanded and it looked as if Spain had reasserted control over its unruly colony. One of Hidalgo’s captains, José María Morelos, took up the banner of independence and fought until his own capture and execution in 1815. He was in turn succeeded by his lieutenant, Vicente Guerrero, and rebel leader Guadalupe Victoria, who fought for six more years. Finally, in 1821, they reached an agreement with turncoat royal officer Agustín de Iturbide which allowed for Mexico’s definitive liberation in September of that year. September 16 is one of Mexico's most important holidays. Every year, local mayors and politicians re-enact the famous Grito de Dolores. In Mexico City, thousands congregate in the Zócalo, or main square, on the night of the 15th to hear the President ring the same bell that Hidalgo did and recite the Grito de Dolores. The crowd roars, cheers and chants, and fireworks light up the sky. 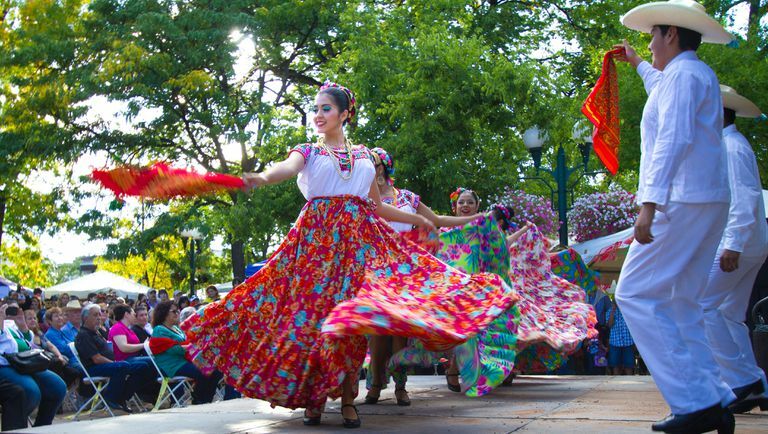 On the 16th, every city and town all over Mexico celebrates with parades, dances, and other civic festivals. Mexicans that live abroad bring their celebrations with them. In US cities with large Mexican populations, such as Houston or Los Angeles, there are parties and celebrations—you'll probably need a reservation to eat at any popular Mexican restaurant that day! Some people mistakenly believe that Cinco de Mayo, or May Fifth, is Mexico's independence day. That's not correct. Cinco de Mayo actually celebrates the unlikely Mexican victory over the French at the Battle of Puebla in 1862.